A few months ago while in Philadelphia I took my usual trip to the University of Pennsylvania bookstore, one of my all-time favorites. 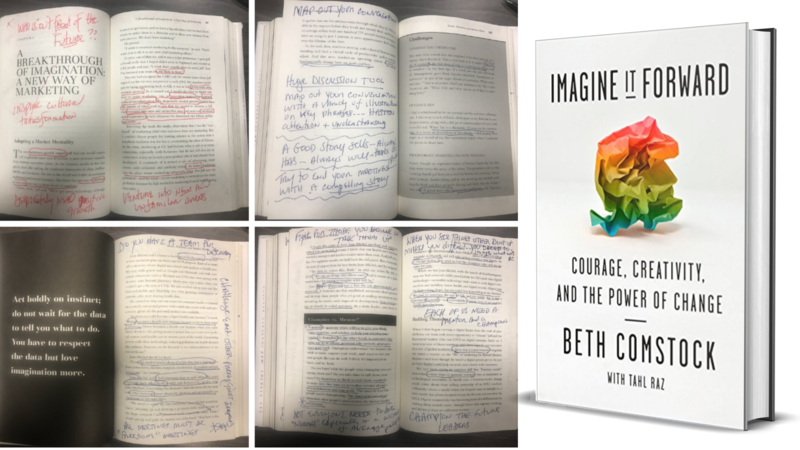 During this visit, I came across Imagine It Forward: Courage, Creativity, and the Power of Change by Beth Comstock and Tahl Raz. 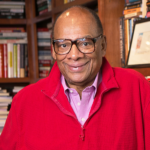 Being an avid reader, I have never become consumed and influenced by the bestseller book lists. My metric for determining a truly phenomenal book is if the work changed my thinking, beliefs, behavior, and performance. Imagine It Forward has done precisely that. It is a book I continue to reference, recommend and deeply engage with the concepts each and every day. What we do today is one more action towards who we will become tomorrow. Reading Comstock and Raz’s book has allowed me to stretch beyond what is normal, and discover the outer depths of who I am. It has taught me when faced with difficulty and obstacles to lean into the struggle while accepting what is and viewing the experience as a growth opportunity to learn, grow, and evolve. Imagine It Forward: Courage, Creativity, and the Power of Change provides inspiring, fresh and candid storytelling to illustrate that the change and problems we grapple with every day cannot just be solved using one fixed mindset. The more diversity of thought towards a problem, the better we are able to solve the problem with a sustainable solution. I am immensely grateful to Beth Comstock and Tahl Raz for sharing their voice and being a positive difference maker in my life from afar. Remember getting better begins with small actions compounding. Our progress always starts with the first step. May the following thirty-one lessons learned from Imagine It Forward allow you to explore who you are, how you lead and how you serve! 1. Challenge: Not to be reduced to what we see. See what others do not see. 2. Change and innovation are team sports. 3. Imagine making real a future you cannot see. 4. We are at our best when we let go of the expectations of being done. 5. There is nothing more important than a human being talking to another human being. 6. Change starts first with you. 7. Getting to the future first is not reinventing the past. 8. Are you a “maker” or a “taker”? 9. We past unique opportunities every day, be sure to stop and select a few. 10. Are these the best solutions or just solutions? 11. Do not ask the question if you cannot deal with the answer. 12. Never be ashamed to ask smart questions. 13. Lack of curiosity will limit our growth. 14. Two things that make a company great are ideas and people who have them. 15. Too many organizations are overpopulated with traditionalist. 16. Every leader must have a signature go-to move. 17. Culture is all about performance. 18. Things are good until they are not. 19. Fifty years ago the life expectancy of a Fortune 500 firm was around 75 years. Now it is less than 15 years. 20. Turn your world into a classroom of learning. 21. Build bridges to what is next. 22. Three things that must be controlled are cost, quality, and access. 23. Introverts have a lot to say, even if they are not speaking. 24. Respect the data, but love imagination more. 25. Our biggest failure is our inability to see around the corner. A failure of imagination. 26. Do not allow your message to get lost in translation. 27. Often times the conversation requires an additional voice. 28. Do not settle for easy answers to difficult problems. 29. Persistence triggers new ways of thinking. 30. Everyone who has sight does not see. 31. Outside / Inside the box. Why is there a box? May the following thirty-one lessons learned from Imagine It Forward allow you to explore who you are, how you lead and how you serve!